The Intelligence and National Security Alliance (INSA) will hire two or three graduate students as paid interns to support INSA’s discussion forums, conferences, research, and special events on intelligence-related issues. The internship offers extensive networking and professional development opportunities, and INSA interns are well-positioned to pursue highly sought jobs in government and at government contractors related to intelligence, defense, and national security. The deadline for applications is Monday, April 1, 2019. INSA is a non-profit, non-partisan trade association representing more than 160 companies and universities that support the Intelligence Community, as well as 4,000 individuals from government, industry, and academia. 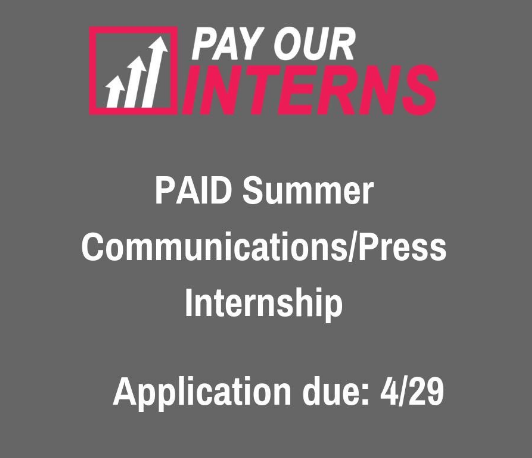 Interns, who are paid $11 per hour, are expected to work 20-25 hours per week for a minimum of two semesters (e.g., summer/fall, fall/winter), though many work with us for a full 12 months. We do not offer summer-only internships. Information on the internship and instructions on how to apply can be found online at https://www.insaonline.org/about/internships/. Additional information on INSA is at www.insaonline.org.